This post is brought to you by Hotel Direct. Thank you to the sponsors who support Housewife Confidential. For more information about this kind of post please read my disclosure for readers page. York – image by bethmoon527 on flickr. Despite having family in Yorkshire and in York itself I have never been into the town itself. Completely shocking, I know. I had planned to set this straight with a visit when I was in town for a wedding but I must have eaten the wrong thing as I was catastrophically sick as we drove into the city. That said, I do have plans for a day out in York and every intention of making time for them on our next Yorkshire trip. 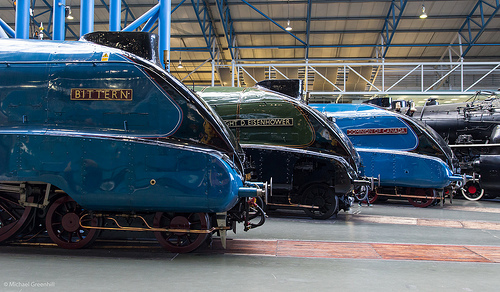 National Railway Museum – image by doctorjbeam on flickr. This has been on my list for years and after seeing the V&A quilting exhibition I know I’ll be in for a treat. We did stop by here when we were driving through once only to find that it is closed on Sundays. I have heard so many great things about the National Railway Museum as a family day out. It houses an enviable collection of game changing engines including Mallard, Shinkansenand the Evening Star. If you have a child who is in love with trains then this has to be the number one place to come. I have been to their sister site, Shildon, in County Durham which is another great spot to unleash your inner train spotter. What? We all have one, surely? I think when we teach history to children it can often come across as if we were isolated from the rest of the world save for the odd invasion. Places like Jorvik bring to life not only our relationships with other nations but also the way they shaped our culture. 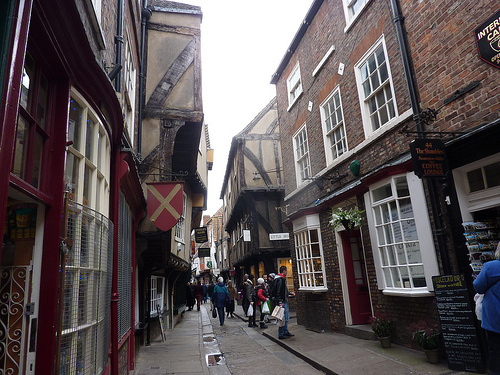 York’s medieval street plan and historic architecture are a great draw and create a feeling of being in a different time. There is no denying that the religious buildings dominate our old cities with their stature and architecture. I can’t resist the pull of such human achievement even if I am an atheist. 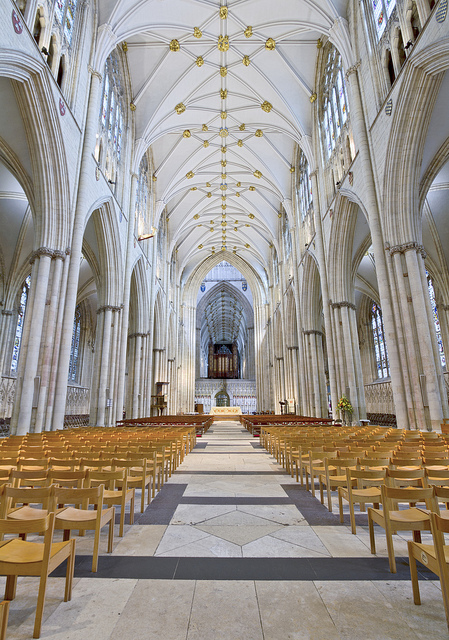 You can climb the Cathedral tower to get a bird’s eye view of York and appreciate the building from above. If you want to see York without shelling out for attractions a great place to start is by walking the walls. It will take you a couple of hours and give you the best view of the longest medieval walls in England, gates, towers and all. As York is frequently part of a long and tedious drive for us I have The Web Adventure Park bookmarked as a place to run off the steam before being cooped up in the car. They have a range of activities from high wires to a climbing park for children. Definitely the place to come for those crazy legs to get a work out. I was tipped off by Amanda about York’s chocolate credentials. They have an entire attraction devoted to telling the story of chocolate in York. Not only that but they also have a chocolate festival and market. Who’s up for an April meet in York? So those are my seven wish list items for visiting York, where would you recommend?